Jerusalem (Agenzia Fides) - Even today, Tuesday, February 27, for the third day in a row, the Church of the Holy Sepulchre in Jerusalem's Old City remains shuttered in a tax standoff with the city's municipality and in protest of a proposed land expropriation law. Many groups of faithful – refer local sources to Agenzia Fides - were left to pray in the courtyard outside the church. 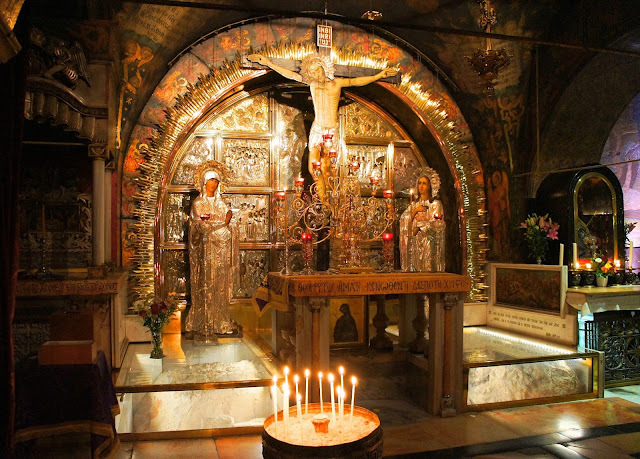 The "closure" of the Holy Sepulcher was decided by the leaders of the three ecclesial realities - Greek Orthodox Patriarchate of Jerusalem, Armenian Apostolic Patriarchate of Jerusalem and the Franciscan Custodian of the Holy Land - who share the management of the Basilica, as a measure of public denunciation against what they consider a "systematic campaign against Churches and the Christian community in the Holy Land, in flagrant violation of the 'Status Quo'", implemented by the Israeli authorities. A campaign that, according to the Heads of the Churches of Jerusalem, has reached "unprecedented levels" with the request of the municipality's plan to tax the church's assets around the city.